IP Law Firms & Patent Attorney in India | Trademark Attorney | BABARIA IP & CO.
Babaria IP, is a professionally managed premier law firm & patent attorney in India with a clearly defined mission and effective working principles. Specialized services in the field of intellectual property rights, market research, project management. Firm is established in 2005 in the field of patent named patent–aid based at Ahmedabad, Gujarat, now expanding to practice in all IP area. Our legal practices include all IP matters, with wider specialty in filing, registering, and prosecuting Patents, Trade Marks, Industrial Designs, and Copyrights including renewals, licensing and enforcement. Our mission is to enhance the customer satisfaction through understanding the requirements and expectations of our clients, their business, concerns, and goals. We believe in result oriented work and building and maintaining long term relationship with our global clients in India & across the globe. In today’s world of tough competition, few people are looking for shortcuts to supersede their competitors either by hook or by crook. Having Intellectual property rights for your technological and other innovation is imperative. However, acquiring those things is much of a hassle as creating groundbreaking technologies. This is where our Patent services can benefit you. We secure copyrights for your hard work and creativity that nobody in the world can take away from you. Copyright is to the permission to reproduction which includes photographs, recording both audio as well as video films through computer programs and excludes literary, artistic, dramatic and musical. Its main enlightenment is anti piracy measures. In a world where piracy and reproduction/ modification without consent is on the rise, it is important to secure copyright laws. The copyright laws are usually used for protecting a product that allows for public entertainment in both personal and commercial capacity. Babaria IP has made sure that people who violate copyright laws and who have intentionally used our client’s Audio/ Video and graphics for their commercialization are dealt with legal action. 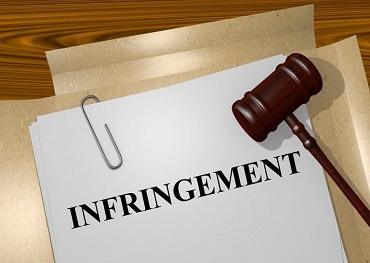 Our legal expertise in Copyright infringement has helped many clients from losing a substantial revenue through the forms of piracy, or reproduction without consent. A trademark is known by its brand name, a slogan or a logo, which can be identification symbol as a word, a device, a label or numeral or client easily understanding manner. All trademark are not registered, with the trademark client gets an idea of quality of good. Some trademarks are prohibited under the intellectual property protection by government. However, success often makes your brand name and logo vulnerable to misuse by the competitors. The public usually doesn’t go in depth to check the authenticity of the brand every time. This is why having protection for a trademark is extremely important and Babaria IP helps in that. Litigation ensures seamless support and uptime to all attorneys. Litigation provides services for patents, copyrights, trademarks, trade secrets, and other related areas of intellectual property law. We provide service to domestic and international clients on various litigation of Intellectual property management matters. Litigation not only requires time and patience but a whole lot of technical expertise, awareness (both technical and commercial aspect) about the product and most importantly, knowing the loopholes which people with malicious minds try to take away the credit of your hard work. At Babaria IP, we take immense pride in taking both orthodox and unconventional approach to ensure that such people who are a threat to your hard work are sued for maximum punishment coupled with financial remuneration to our clients. A design of an article is done keeping in mind about its feature of shape and configuration whether manual or mechanical, separate or combined. Aesthetic and appealing design helps to attract your customers to buy your products and services. Unfortunately, if not protected by design rights, it allows the third party to earn a substantial amount of profit solely from your design which is not legal by any means. In order to safeguard your commercial interest (through the aesthetic appeal of your design, shapes, colors, and configuration), securing it with the appropriate rights is imperative. We help you to gain exclusive rights for commercializing your groundbreaking technologies in every part of the world. Whether you want Global, Nationwide patent or have any other issues, we stay by your side in every step of such complex problems, knowledge of the rules and regulations play a paramount factor in securing the rights of your product and services. Consult with us, get to know our approach and then hire us. It is extremely important that you let your problem known to us in a clear and transparent manner so that we can get into the nitty-gritty stuff for preparing your case. Once you have handed over the case to us, everything will be taken care of by us. We intend to intervene your time and attention to the minimum extent so that you can always stay focussed on your core business. Let our team handle all the legal matters and problems on your behalf so that you can focus on other important things. "Very detailed and professional lawyer. she has kept me informed of any and all changes as they occur. Always on top of the situation and very informative of how to handle any problems as they arise". "Their office staff is the best ! They know their clients and have excellent communication skills. It helps when you are going through a difficult situation. They are a great team and you would be very fortunate to have them represent you!" "Ms. Babaria and their entire office staff is best ! They know their clients and have excellent communication skills. It helps when you are going through a difficult situation. They are a great team and you would be very fortunate to have them represent you." "My entire experience with Ms. Babaria and her paralegals was very pleasant. Everything was done in a timely manner and very thorough. I would definitely recommend to others." Various initiatives have been taken by the government to find out ways through which the time taken to examine the patent applications can be reduced. 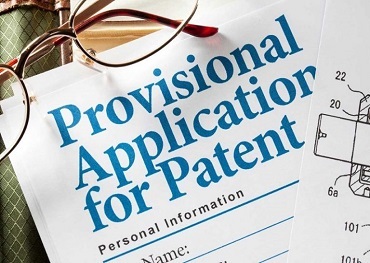 What to Do After Filing A Provisional Patent Application? In order to ensure that the applicant acquires the patent, he/she should follow certain steps that we are going to explain in this particular post. 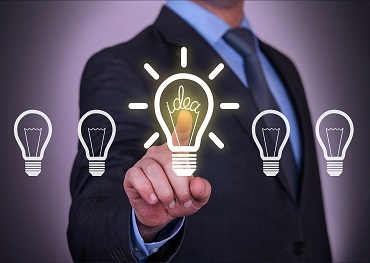 How to Avoid Patent Infringement? In this post, we would like to provide our unbiased opinion on why new applications get patent infringement and what can be done to counter claim them. Babaria IP, is a professionally managed premier law firm & patent attorney in India with a clearly defined mission and effective working principles. Specialized services in the field of intellectual property rights, market research, project management.